It’s time to celebrate another ManageEngine OpManager victory! This year, ManageEngine won The Integrator‘s fifth annual ICT Champion Award for Network Management Vendor of the Year thanks to our integrated network management solution. Not only that, but this is the second consecutive year OpManager has led ManageEngine to an award from The Integrator. Just last year, OpManager helped us win the ICT Champion Award for best Data Center Infrastructure Management Solution. Each year, the ICT Champion Awards are hosted by JNS Media, publisher of VAR Magazine and The Integrator. Both VAR Magazine and The Integrator predominantly serve the Middle East; however, product users around the globe cast their votes in an online industry survey to determine the ICT Champion Award winners. The survey was out for a month and included a list of nominees for various categories. ManageEngine wasn’t able to be at the award ceremonies, but our partner in Dubai, Elitser Technologies, attended and accepted the award for us. 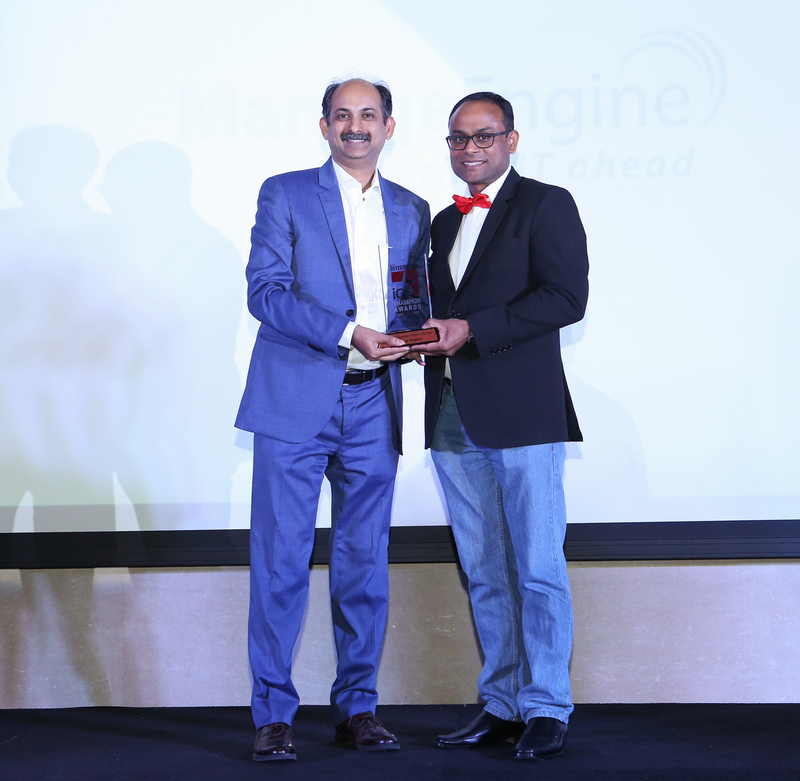 Jignasu Rathod (left), CEO of Elitser Technologies, accepting the ICT Champion Award for Network Management Vendor of the Year on our behalf. Key to the consolidation and inroads is OpManager version 12, which includes a number of enhancements that make it unique when compared to other network management solutions available in the market today. It tightly integrates network monitoring, server monitoring, traffic monitoring, configuration management, firewall log management, IP address management, and switch port management, giving you greater visibility and control of your operations. All these modules share a common database so you can create integrated dashboards and reports that help you quickly identify the root cause of an issue and resolve it. We want to thank everyone who endorsed OpManager by voting for ManageEngine. We also want to thank JNS Media for hosting the ICT Champion Awards. We’re honored to be included in such a prestigious group of vendors. Download our 30-day free trial to evaluate OpManager for yourself.